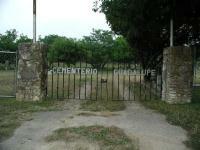 The main gate at the cemetery. Cemeterio Guadalupe resides on the outskirts of San Marcos on Old Post Road, not far from the San Marcos - Blanco Cemetery. 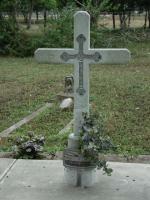 Though Cemeterio Guadalupe was established within 10 years of San Marcos - Blanco, it does not feature an historical marker and appears to get less notice. Though not the center of attention, the cemetery does appear to be well maintained. Judging from the markers found in the cemetery, it appears to have first been used near the start of the 20th century. 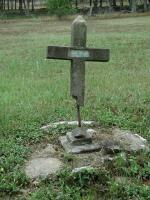 As you may guess from the name, the cemetery primarily serves Hispanic families. 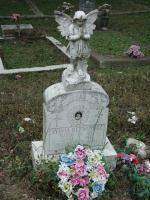 Compared to many area cemeteries, the markers are generally well adorned with flowers and keepsakes to remind families of their deceased loved ones. 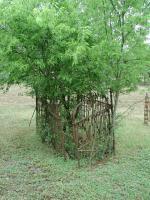 Prominent crosses are numerous, one standing over 6 feet tall. 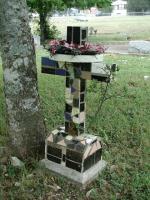 Most crosses are smaller and more personalized, some bearing inlaid metal or tiled surfaces. 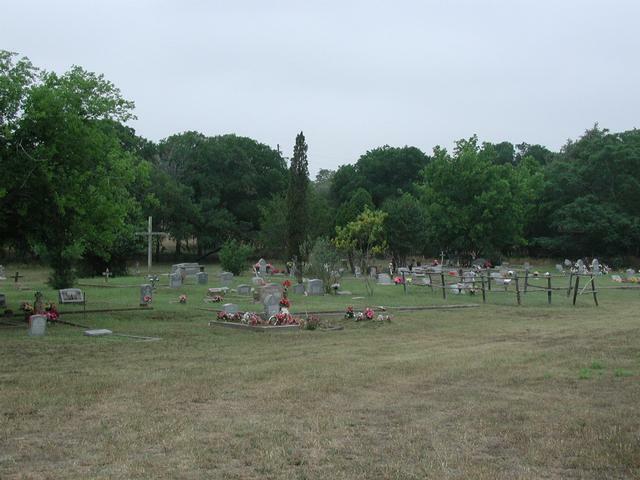 A wide angle view of the cemetery. Judging from clues left behind, one of the more interesting crosses in the cemetery appears to have weathered away, or has been removed. 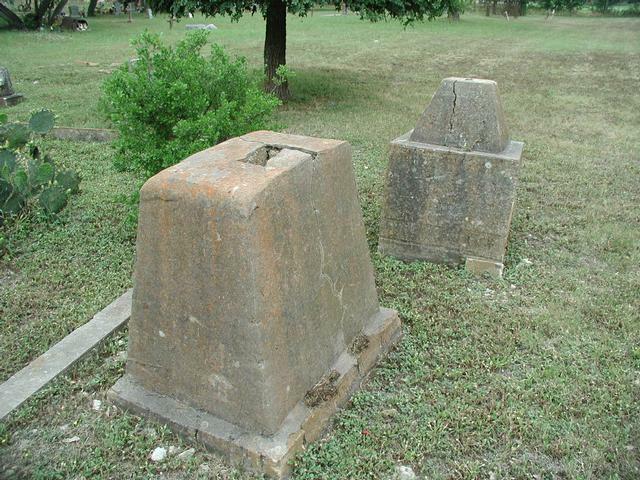 A large pedestal with a slot in its center contained remnants of wood within it, indicating that it once supported some wooden shape, most likely a large cross. This Woodmen of the World marker fell over like a cut tree. 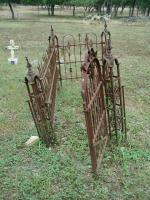 Around the hill country, more headstones are beginning to include photos of the deceased. Cemeterio Guadalupe is no exception. 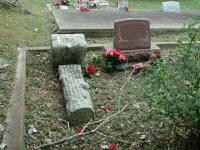 In fact, it appears to include a larger percentage of such photos on headstones from as early as the 1950's than can be found elsewhere. 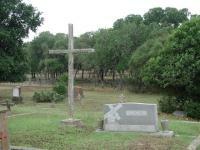 The oldest marker dates to 1909 and the cemetery continues to serve that area Hispanic population to this day. Despite containing some headstones almost as old as though found in other cemeteries around the area, I was unable to locate any additional information on the plot relating to the exact date established or who was originally responsible for it.